An extraordinary international thriller by the former deputy assistant secretary of state and author of the national bestseller "The Golden Hour." ""In the life of every country, at a moment of extreme national disruption, there is a brief period of breakdown, when everything is uncertain, events can turn on a dime. That is the moment to act, to shape events how "you "want them to go. 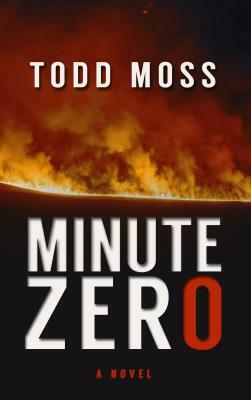 That is" "Minute Zero."" Fresh off the harrowing events of ""The Golden Hour"," State Department crisis manager Judd Ryker is suddenly thrown into a quickly developing emergency in Zimbabwe, where a longtime strongman is being challenged for the presidency. Rumors are flying furiously: armed gangs, military crackdowns, shady outside money pouring in, and, most disturbing for the United States, reports of highly enriched uranium leaking into the market. And that's all before Ryker even lands in the country. It gets much worse after that. If he can t get control, shape his ""Minute Zero"," a lot of people are going to die not least of all himself. Todd Moss is vice president and senior fellow at the Washington think tank the Center for Global Development, and an adjunct professor at Georgetown University. In 2007 2008, he served as deputy assistant secretary of state in the Bureau of African Affairs, where he was responsible for diplomatic relations with sixteen West African countries. Moss lives in Maryland."